Legacy modernization and digital transformation are priorities in many industries. A great case study from Medscheme, one of South Africa’s largest providers of administrative and health risk management solutions for the health care sector, shows how multiple technologies can be integrated to create a state-of-the-art decision platform. Medscheme created a modern decision platform for its Medical Aid Administration business, which reviews some 400,000 claim lines per day. The innovative solution, powered by FICO® Blaze Advisor™ decision rules management system, reduced claim interventions by 15 percent in a six-month period, and has dramatically reduced the time needed to change business rules and strategies. 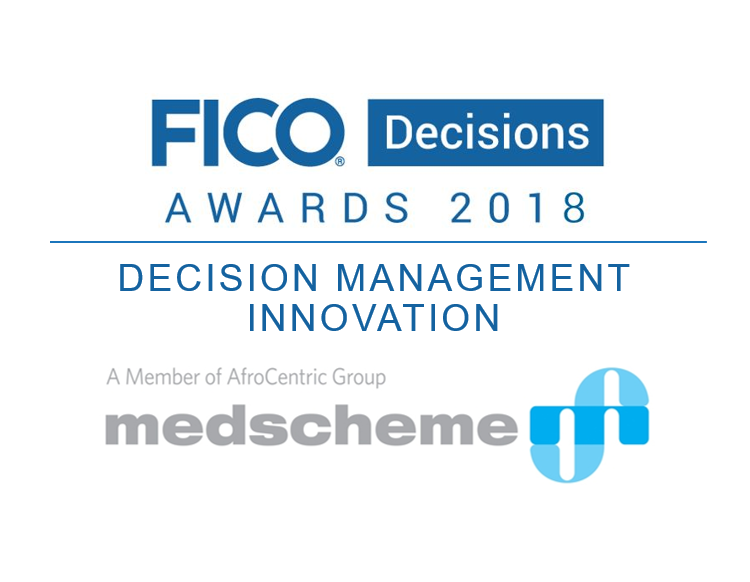 Read more about Medscheme’s achievements in this case study in the FICO Community. But that doesn’t mean starting a retail company is impossible. Cue Kelly Scott: One of Oracle NetSuite’s Product Marketing Managers who joins this episode of “The NetSuite Podcast” to break down what it really takes to succeed in the retail industry today. Scott dives into the challenges she’s seeing retailers face right now as well as those she predicts will hit in the future, revealing that one of the core solutions to all of these challenges is a personalized and customized experience for the consumer. She also dives into ways brick-and-mortar stores should be adapting to the evolving market, noting the importance of blending a physical experience in a digital world and providing some great, real-life examples of companies that are doing just that. And no, she does not think brick-and-mortar stores are “dying.” (Save your condolences). Scott discusses everything from social media influencers and the effect they’ve had on millennials’ discretionary income to the daunting question about whether Amazon is a friend or foe. Learn more by tuning into the full podcast episode on Apple Podcasts, Soundcloud and YouTube. As always, don’t forget to rate, review and subscribe! Imagine you are walking through an airport, proud of your brand’s ads throughout. And then you see someone who fits perfectly into your target audience. You’re excited at the prospect, until you notice that she is oblivious to it and engaging with someone else’s digital media on a smartphone instead. That’s the basic reality of marketing today. To embrace digital media, it’s essential for your company to undertake the basic changes of digital transformation. As the Forbes Technology Council recently noted, undertaking this change is a sink-or-swim proposition. This quick rate of change will cause about half the current S&P 500 to drop off in the coming decade. Newer, more agile names will appear. Personalized, interactive technologies are engaging customers right now. Those technologies are not experimental: they’re as mature as any in this fast-paced time of change. What’s happening now goes beyond real-time interaction into the future. Companies are combining interactive technologies with predictive analytics and artificial intelligence to move the point of interaction past right now to this afternoon or next month. It’s not as strange as it sounds. Since we can exchange information in real time, that’s what we’ll do now. The public won’t accept less. With abundant information, we’ll have to find new ways to keep up with it. Media will flow in multiple ways: text, video, 3D, VR and more. The public will seek and select information they want. With overwhelming amounts of data, transformation into knowledge will give it new value. A customer comes into your candy shop daily and always leaves with the same bar of milk chocolate. You make note of the other chocolate types he considers. You make note of other things about him that you can infer: Does he have a family? How old is he? How long does he linger on each type of chocolate? One day, he decides he wants something different, and you use your experience in general and specific data about him and his shopping habits to suggest his most likely choice. You take payment and wrap up the sale. He’s a happy customer, and maybe even surprised. Now you can use predictive analytics capabilities with your existing data to help you understand your customers better. They help you to see opportunities and make decisions that aren’t obvious from past data and current interactions. Just as the digital transformation required a perspective shift from longer lead times and interactions to real-time immediacy, this AI-facilitated next step takes our thinking solidly into the future. Predictive analytics tools can help you build a new source of knowledge and insight into your business systems. For real-time digital media, it creates a forward-moving interaction instead of a reactive one. Before, you could look at historical data and make educated guesses or base your decisions on historical odds. Now, predictive analytics provides a result, based on AI algorithms, large amounts of your historical data, trend analysis, the history of past calculations, and much more. Predictive analytics finds the story behind the story – the horse whose time has come to win or the customer who is in a position to place a large order but hasn’t mentioned it yet. With predictive analytics, you can infer or predict information about the customer that they haven’t given you directly. The customer might not even be aware of the information yet. This creates a new ethical realm you need to consider. While predictive analytics helps to streamline your business operations, it tunes your business communications to your customer’s situation. You’ve seen current machine learning, which suggests new movie or music choices based on past choices and experience with similar customers. With predictive analytics, your interaction can include suggestions that anticipate the customer’s growth as a listener, and it can suggest signing new artists who are likely to meet anticipated customer needs in the coming year. The current conversation about digital communication paradigms will continue to evolve from real-time to predictive. We are crossing the line into the future, where media creators move from reactive delivery and include AI-based user preference, anticipation, and prediction in the mix. “Are we there yet?” That’s the question that is top of mind for architects of finance digital transformation. The answer is “not yet, but we’re getting much closer,” according to The Hackett Group’s key issues study, “2019 CFO Agenda: Building Next-Generation Capabilities.” Our findings offer a sobering yet optimistic reality check on just how far finance has progressed in its digital journey. It’s tempting to assume that finance has advanced significantly, given all the hype and the rapid introduction of new technologies. However, our study found that the current impact of digital transformation on finance is limited. As the image below illustrates, only 31% of finance executives reported that digital transformation is currently having a high or very high impact on finance performance. Less than 30% have experienced a significant effect on their finance delivery model or ability to achieve enterprise objectives. Even the talent impact is muted. This sounds worrisome. But if you take a look at the right side of the chart, you will see great cause for optimism. While the impact may be only partial today, it is expected to shoot up by an average of 2.6X in the next two to three years. This begs the question: How will finance realize greater digitalization benefits – that is, what’s going to change between today and two to three years from now? We found the answer by examining four critical enablers of digital change: the maturity and alignment of finance’s digital strategy, the function’s execution capabilities, and the level of support it gets from IT (see image below). While the data shows a low level of current enablement, it also portends a momentous rise across all four. Having a clear digital transformation roadmap is an essential success factor. The percentage of finance organizations with a mature strategy will double in the next two to three years. This time frame makes sense. We know from The Hackett’s Group Digital Transformation Performance Study (2018) that it takes digital leaders an average of 2.5 years to fully evolve their strategy. The same study revealed that 58% of finance organizations are currently in the process of developing their strategy. 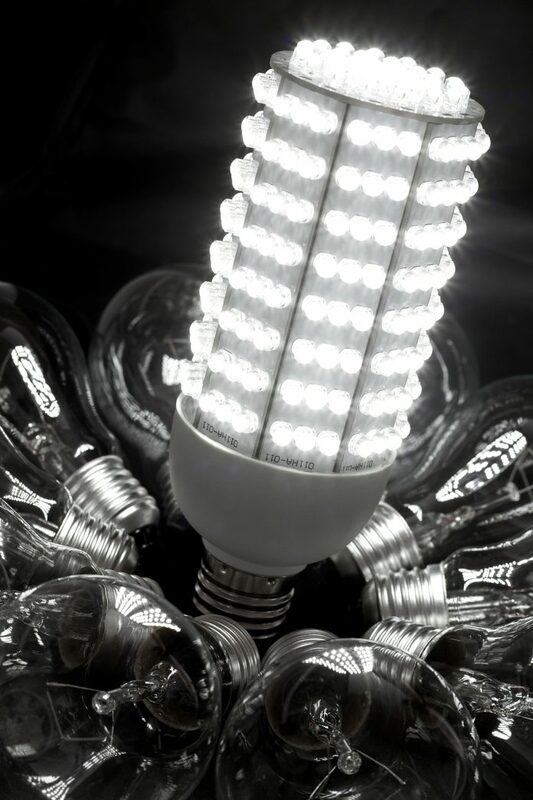 The speed of development will accelerate as early adopters share successful use cases. Finance projects that the share of its IT budget dedicated to new initiatives will rise in the next 12 to 18 months. Finance expects an increase in the percentage of project funding dedicated to digital efforts. Finance anticipates that the share of FTEs dedicated to digital projects will rise, as well. Of course, successful execution is not just about having more money and a bigger headcount. It’s equally about having people with the right skills. Our Digital Skills Poll (2018) revealed that typical finance organizations still suffer severe talent shortages in key areas. The most significant gaps between finance’s skills today and the skills it must master in a digital world are in data and technology savviness and analytical, innovative/creative, and design thinking. The good news is that the same poll also showed that the leaders in digital skills have already dramatically narrowed the gaps, at least by half, and in some cases even more than that. This means it is absolutely possible for finance to upskill, even as demand for talent continues to outstrip supply. Finance organizations have been slower to show progress in digital transformation and realize its benefits compared to digital top performers across business services functions. That may sound bleak, but we have every indication that finance is gathering momentum. It’s poised to bolster its execution gap and more quickly develop a holistic strategy that is aligned with the enterprise’s overall digital transformation vision. Our research reveals substantial projected increases in the adoption rate of smart technologies like robotic process automation, cognitive computing, and next-generation enterprise resource planning solutions. Finance can catch up. And it must.